When it comes to motor vehicle collisions in Chicago, the type of vehicle you end up in an accident with might mean the difference between life and death. While many factors affect the outcome of automobile accidents, incidents involving trucks and commercial vehicles are more likely to lead to critical injuries and a lifetime of pain and suffering. Any motor vehicle crash can result in injury, but those stemming from truck injuries are not as easy to recover from. There are also certain kinds of trauma that truck accident victims tend to sustain more often than others. 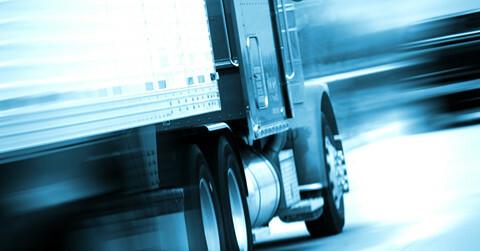 Take some time to consider the following common types of truck accident injuries. Many commercial vehicles transport fuel and hazardous substances. A collision with these types of vehicles often leads to vehicle fires, which are likely to cause accident victims to suffer varying degrees of burns. Severe burns can cause permanent scarring, decreased or complete loss of sensations, nerve damage and disfigurement. Traumatic brain injuries are a more severe type of head injury that affects people injured in truck accidents. Symptoms range from mild to severe and include headaches, personality and behavioral changes, confusion and aggression. TBIs are prominent in truck accident victims who show no outward sign of injuries; brain damage can become progressively worse without timely treatment. Many people involved in truck accidents end up with broken bones and fractures due to the force of the impact. Victims who suffer broken and fractured bones may require long-term medical care and physical rehabilitation. Some may not make complete recoveries, ending up with permanent disabilities. Keep in mind that in injuries happen more often than not in motor vehicle collisions. Use extra caution when there are trucks nearby. Next Post Can loud music contribute to car accidents?